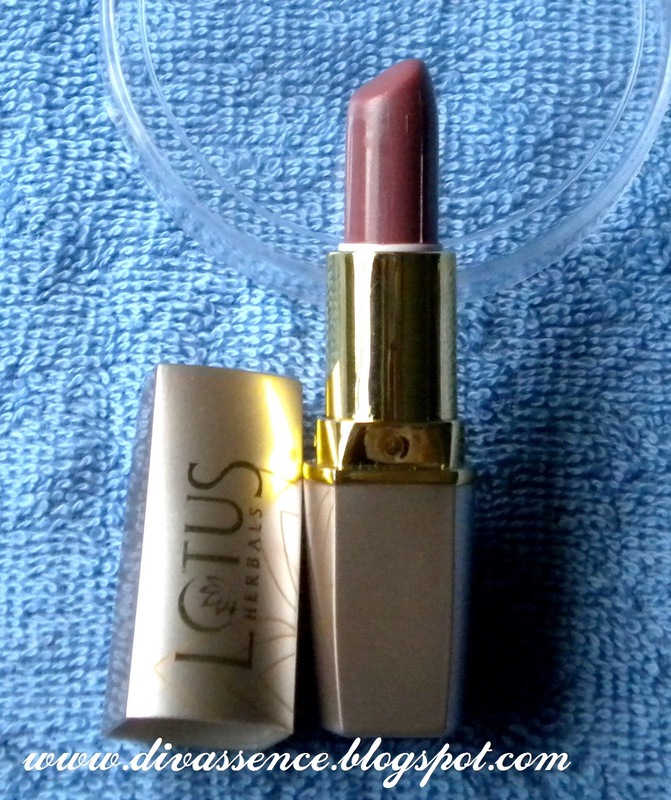 Lotus Herbals Pure Color Lipstick in Rosewood: Review & Swatches - Divassence! 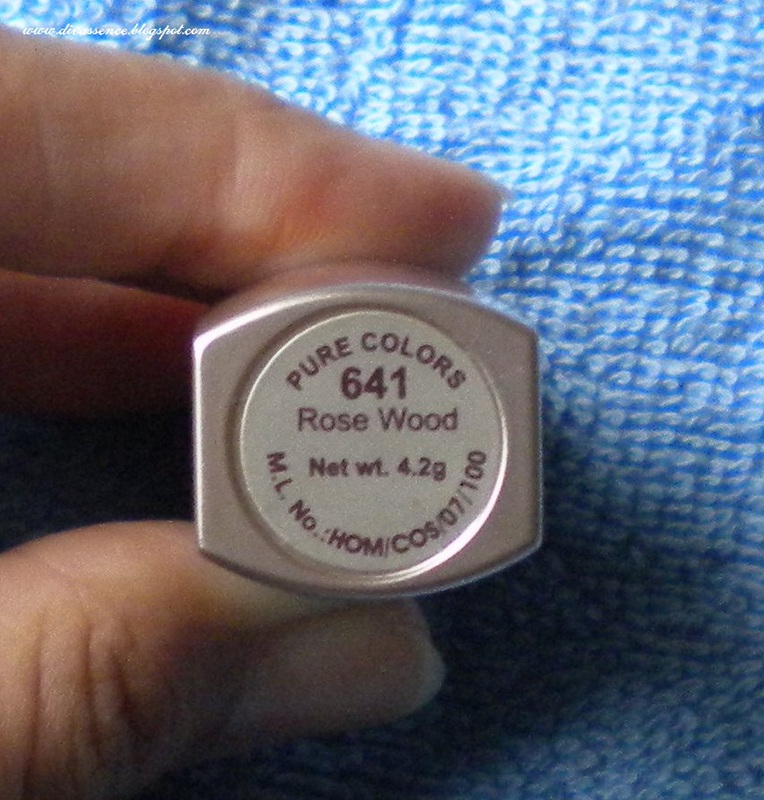 Today I’m reviewing the Lotus Herbals Pure Color Lipstick in Rosewood! Being a novice in makeup, I was initially scared to get dark shades. I used to get the light pinks and peachy pinks over and over again! And one day I realized most of the lipsticks that I have are only pinks! So for a change I wanted to go in for a little darker shade. This rosewood was my first dark shaded lipstick and I am very happy with the color! It was very pocket friendly and had cost Rs.225 for 4.2 gms. How the product scored: This color appeared very dark (a mixture of brown, peach and reddish orange) when the SA swatched it on my hands. But I got it anyways just for the sake of possessing a dark color in my collection. But when applied on lips, it shows as a dark reddish pink color. I like to wear this color with brown and red dresses! The color pay off is good and it stays for 2 – 3 hours and fades leaving a pinkish tint. The left is single swipe and the right swatch I have swiped 3-4 times. Similarly the bottom is swiped 3 times and the top I ve swiped once. I have one big con of the product! It’s the packaging! Its exteremely fragile!! The day I got this lipstick and opened it to apply, the lower cover came out! And I can pull out both the top and bottom caps and this is how my lipstick looks without the cover! 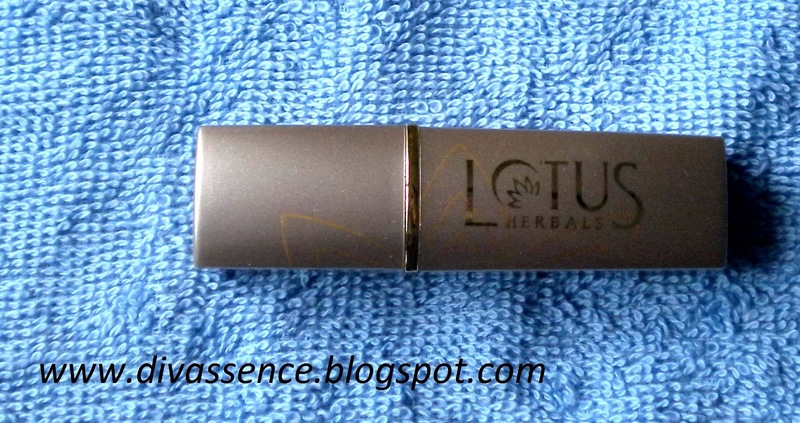 Lotus definitely has to improve this lipstick’s packaging! Beautiful shade with good pigmentation. It doesn’t dry my lips. There are many shades in this range. I don’t have any cons to say other than the packaging. This is a great budget lipstick!! Worth the money is what I will say!! @shruthi Welcome my friend! 🙂 All the best(GiveawaY) ! @few unnecessary stuff :they have an avg staying power.